In July, NAISDA Dance College was honoured to welcome staff and students from the The University of Auckland’s prestigious Dance Studies Programme as part of three-day cultural and artistic exchange with the University. Over the three days, students from NAISDA and the University of Auckland engaged in meaningful cultural and creative dialogue to explore the differences and similarities of each other’s backgrounds and learn about new forms of movement and expression. The lively exchange included excursions on Country, Indigenous Contemporary repertoire and collaborative workshops. 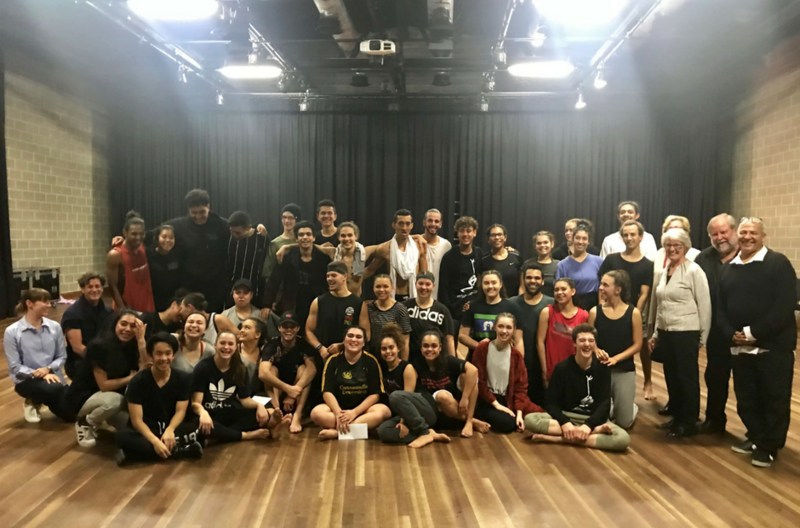 University of Auckland students had the opportunity to learn Australian Indigenous cultural dance from NAISDA, while NAISDA’s Developing Artists were treated to an energetic and fast-paced masterclass from the University. Here is a sneak peek of one of the cultural exchange workshops that took place. In addition, University of Auckland students viewed NAISDA’s mid-year production of Messenger at The Art House, in return giving NAISDA’s Developing Artists a very special first showing of their new piece WOR(WAR)SHIP. The exchange was a fantastic learning opportunity for all involved, and a fantastic blending of unique cultures. We hope to continue this partnership for years to come.